Another building the outfit post for a cold day today. 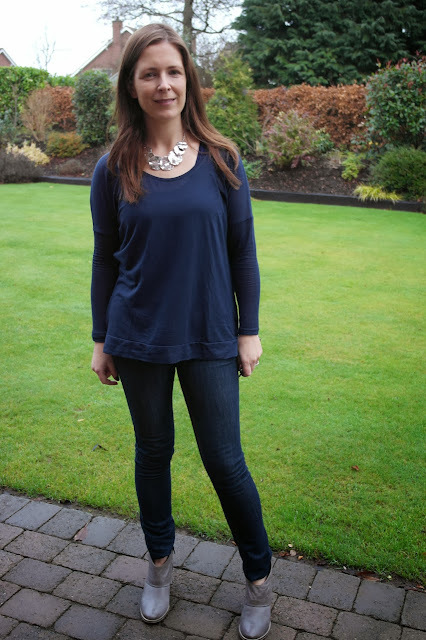 Starting with a very plain and boring base - navy square cut top from Dorothy Perkins, indigo skinnies from Tesco and Clarks grey ankle boots. Add a bit of colour with my red leopard scarf, also from the shop, which picks up the navy nicely. It's out of stock at the moment but I've loads more coming in on Tuesday afternoon! Email if you want to reserve one - schoolgatestyle@yahoo.co.uk. I know ponchos aren't for everyone but I'm a huge fan. 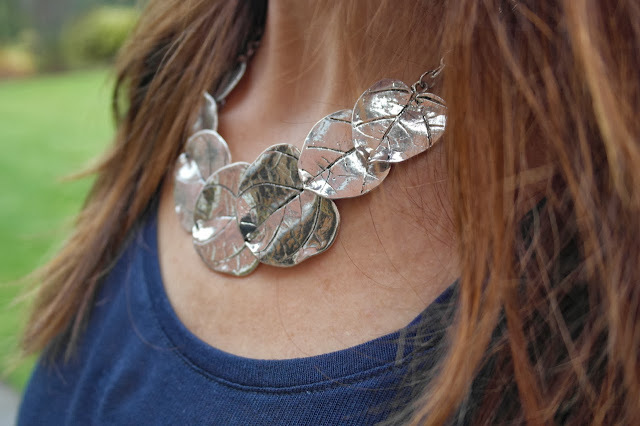 They're just so easy to throw on and are brilliant if you drive a lot. And they hide everything. I've done an edit of my favourites below. 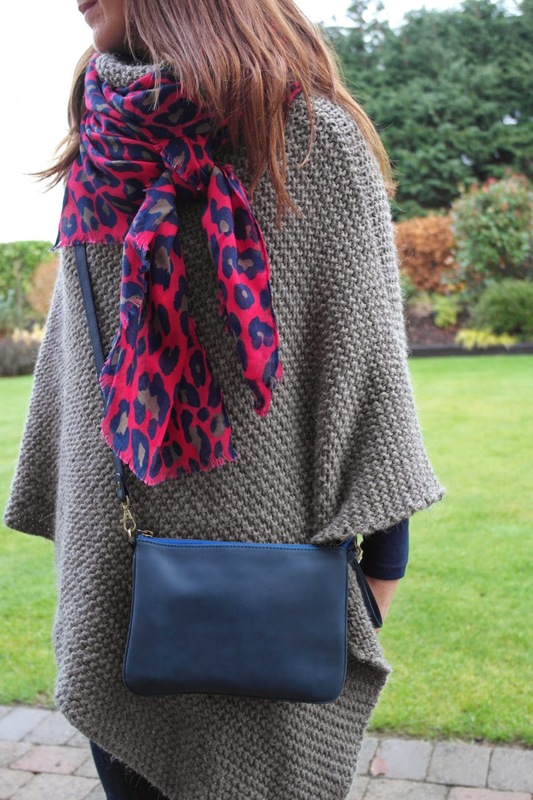 With a cross-body bag, this is the perfect outfit for a Friday which includes swimming classes...where I end up carrying bags and coats for all 3 kids..at once! 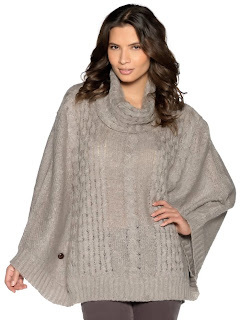 STOP with your poncho photos - I WANT ONE!!!!!! 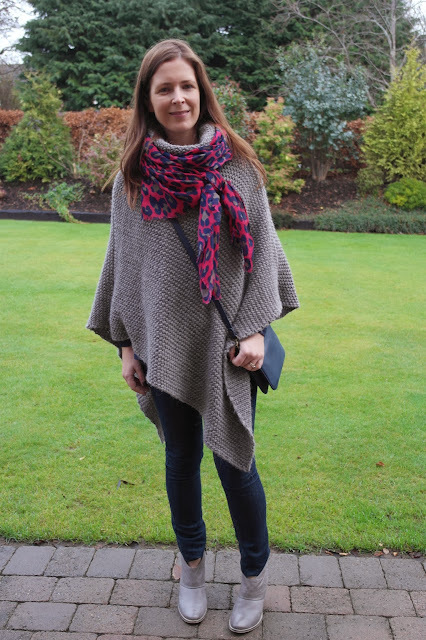 Love the poncho, I've lost mine....how do you lose a poncho!?!?!?!? 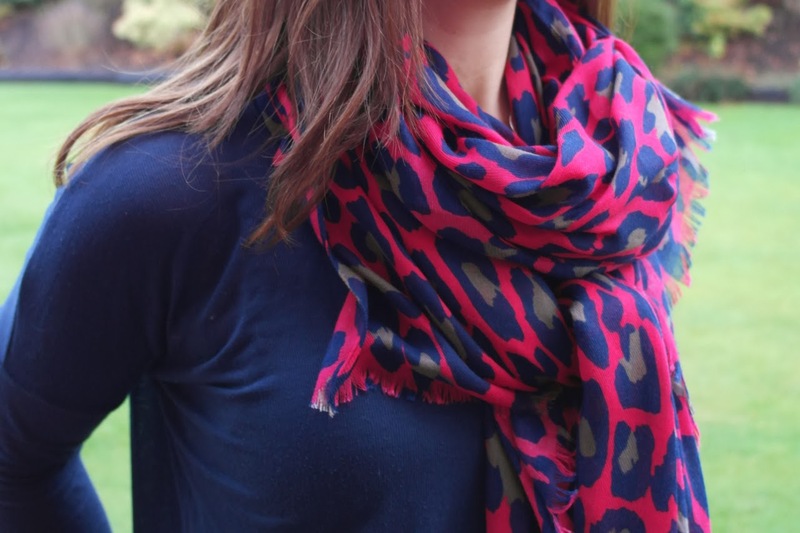 Thanks for the lovely pink checked scarf - arrived today and its great! I love the way you tie the scarf. Tutorial please. 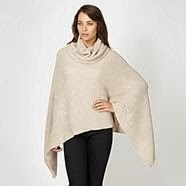 Love your beautiful scarf with the beige poncho and navy all looks fab together. 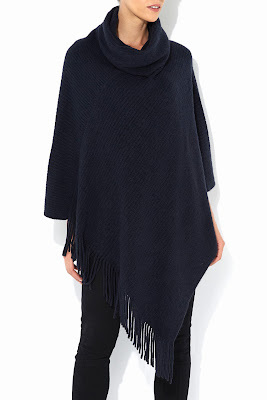 The hush poncho is def my fave one for the Christmas list!